Q. 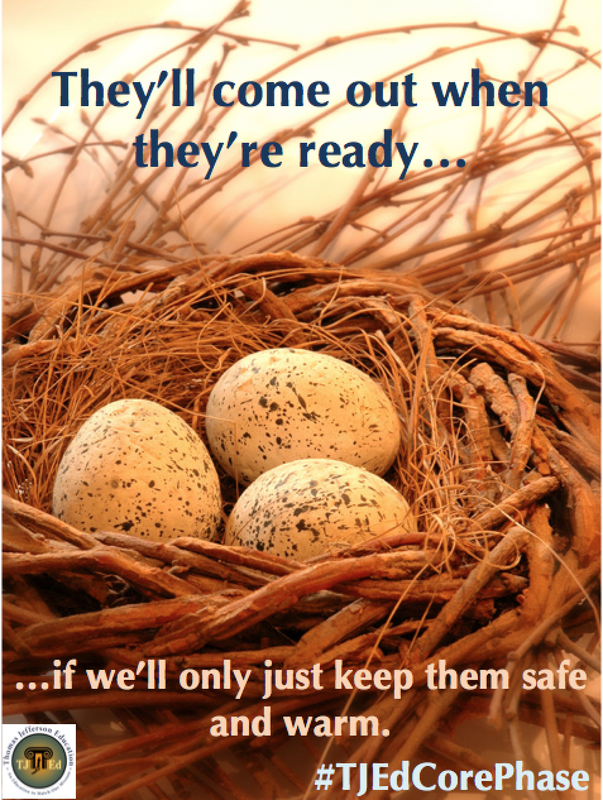 What do you think is the most common problem of homeschoolers? A. 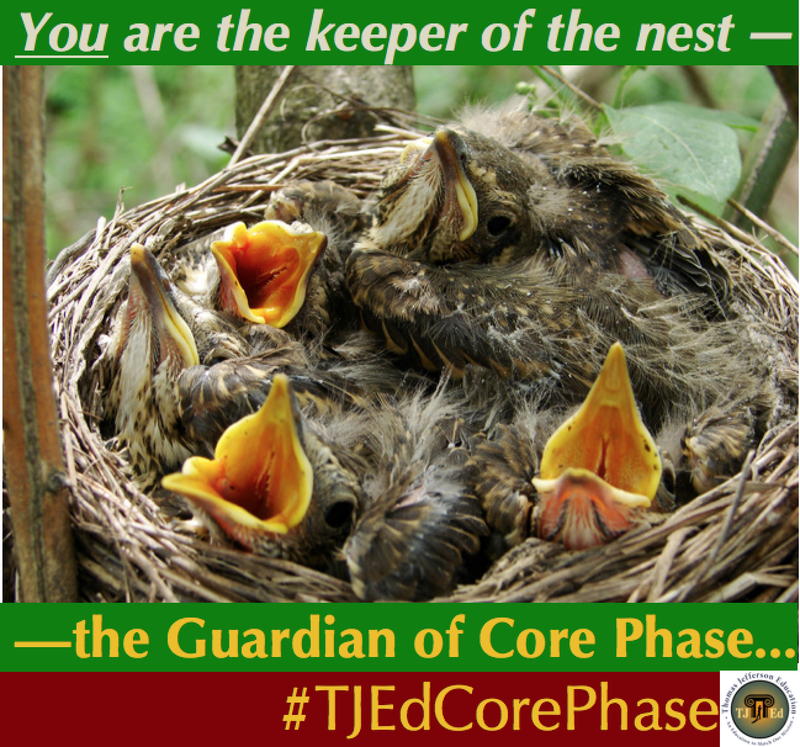 First and foremost, even among “dyed in the wool” homeschoolers, there is widespread neglect of the Core Phase. I believe this is because of our tendency to identify so strongly with our label of “home-schoolers” that our family culture can easily become defined by academic achievement. I had learned to read before I even remember trying; I had an older sister who loved to play “school”, and by the time I was four I was an independent reader. So I just assumed that my bright and precocious little kids would also find it easy, and I considered that the measure of my success for a time. I was impatient and self-conscious and worried that I would fail. Thankfully, our first child was one who would not be rushed. I hadn’t realized until the writing of this article how critical that was for the culture of our family and the application of the principles that we promote. Because Little Oliver was more like his father (who did not read fluently and well until he was almost 12 years old), I felt that it would be best for our family not to emphasize reading as a skill by which they should measure their worth, intelligence, knowledge or ability to succeed in new endeavors. The happy result was that we discovered for ourselves—and quite by accident—the purpose of the Core Phase. Because we have tried to feed the spirit and the intellect on content rather than skills mastery, because we have modeled a love of learning and provided a rich environment, and because we have waited until they are anxious to apply themselves to the task, the children not only have that fearlessness that I referred to, but they have the innate sense that their education is their own responsibility. And as it happens, the skills are quite easily mastered with a more mature, motivated and confident student, who cares about his own education! My husband and I are examples, mentors, guides, facilitators, instructors, but they cannot expect us to educate them. They intuitively know that it is their job to supply the desire and the effort necessary in order for them to achieve their personal, spiritual and educational goals. In a word, we will do all in our power to inspire and facilitate – but at the end of the day, they will have to educate themselves. I have witnessed many well-intentioned mothers and (particularly) fathers – ourselves not excluded – who pressure their children into structured time and activities that model public school settings and timetable. I would suggest that self-discipline and excellence are internal values, and are not developed in an environment of compulsion. I also believe that it is difficult to teach these values without a physical medium that allows the student to see the workings of choice and consequence. Caring for animals and gardens provide a routine, repetition, and reward that the child’s mind can grasp. These are our methods of choice, but I know of another family that I look up to that has used the father’s dental practice as their medium. The oldest child is a certified dental assistant who, at fifteen, is working on her college degree with distance learning, having paid for the entire under-graduate program in advance with her own earnings (she is successfully in Scholar Phase). The children go early each morning with their parents to do the janitorial and other preparatory work before the office opens for the day. It isn’t too difficult for a medium-sized young person to understand that they can’t cut corners when sterilizing dental equipment without serious repercussions. They learn to take pride in their cleaning when the professional appearance of the office directly affects the family’s well-being, reputation and prosperity. And as employees of the business, if their performance is sub-standard they are subject to being reassigned or fired. In the examples I have given (and there are probably as many ways to teach these principles as there are parents reading this post) consequences are nearly immediate and the necessity of consistency and exactness become obvious as they experience the consequences of their choices. Then when he is older and is having a hard time mastering some math skill or wants to develop an article to submit to a magazine, no one needs preach to him what self-discipline or high standards of excellence will get him. He learned those lessons getting dirt under his fingernails when he was only seven. 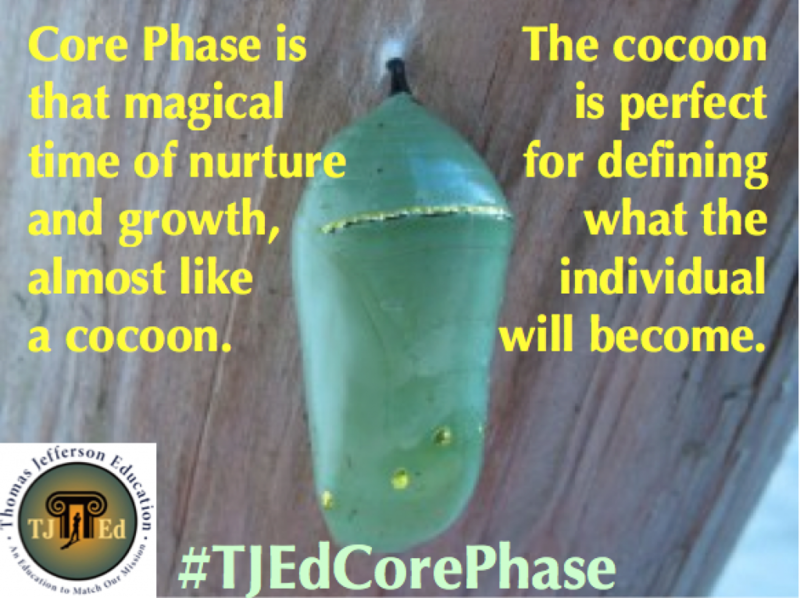 While neglect of the Core Phase is a great problem, there is—as you would expect—an equal and opposite problem: those who do discover and capitalize on the Core Phase can tend to take it and use it for their whole philosophy, as if that’s all there is. It is the foundation; but virtue isn’t the single, solitary attribute we’re to acquire. 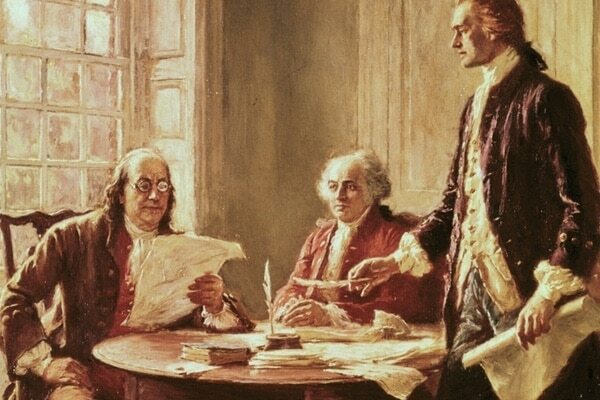 We need to proceed onward and incorporate others. From the very first, the role of the parent is to model, inspire, and facilitate scholarship; that’s the parent’s job. 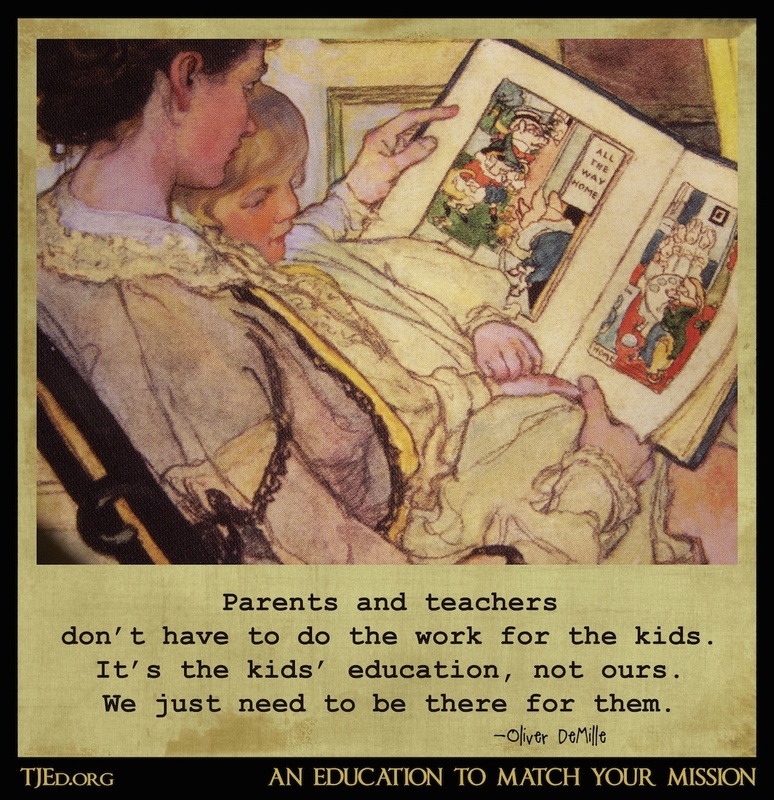 It’s not the parent’s job to educate the children, but rather to model self-education. With appropriate care for the right environment, relationships, resources and opportunities, the healthy child will naturally move from Core to Love of Learning and then on to the Scholar Phase. In fact, they will often want to follow you into Scholar Phase before they’re totally ready. They’ll go back and forth; they will model scholar behavior for a few hours—then give it up for six months. Many of the factors that govern these transitions are rooted in biology, and not just environment, so nature is actually working in your favor on this point! Know the principles of success, do what is yours to do, and then trust the process. Every day, every year has its purpose, and getting ahead of the schedule is not an advantage; in fact, it may entail doing some backtracking to really set things right. We tend to press kids when they’re just tiny. Everyone around them seems frantic about their learning. They live in a state of tension. We give them tasks just ahead of their developmental stage and force them to reach for things that are uncomfortable. We rob them of their sense of mastery over what they do know and personal power over what they can do. They can tend to feel stupid, disrespected and impotent. By the time they should be moving into the Love of Learning they either don’t have the will to try anymore, or they’re so adept at playing the pleasing game that it can hardly be called an educational process. It is our hope to get people to take the pressure off when the children are young and get them to put the pressure on when they are older. The Leadership-model Scholar Phase is as rigorous as the Core Phase is carefree—and the process of applying the principles runs counter-intuitive to the Conveyor-belt model at both ends of the spectrum.